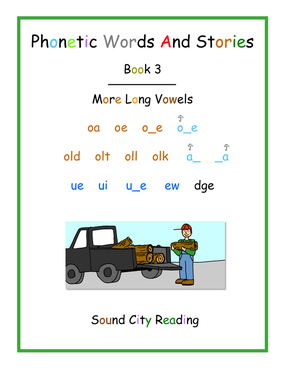 There are three sets of books that teach phonics patterns. Students read a list of words for each new pattern learned. They read short practice stories after several new patterns have been studied. 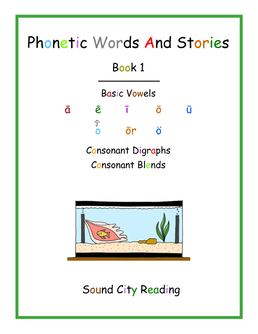 The three sets of books all teach the phonogram patterns in the same order. They contain the same practice stories. The format for each set of books is different. 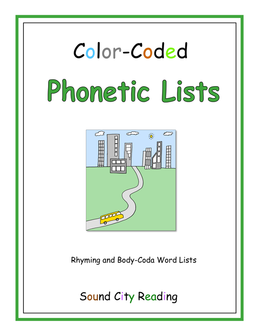 Scroll down to see the links for all of the books in each of these three sets, the Color-Coded Phonetic Lists book, and the two workbooks which can be used with any of the phonics patterns books. This book contains just the illustrated stories from the phonics patterns books listed below. These books have very large color-coded print. Students read ten words with each new pattern and find the matching picture. An answer key shows which picture goes with each word. Students also read illustrated practice stories. 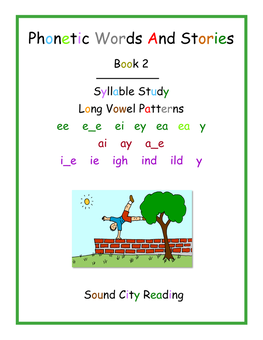 August 21, 2018 - I have uploaded the newest version of the Phonetic Words And Stories books. Books 2-8 have minor revisions. In Book 1, PREVIEW pages have been added at the end for the oi/coin, oy/boy, ou/ouch, ow/cow, a/all, and u/bush patterns. Click on the green bars to download the desired PDF files. These books have large all black print. They follow the same phonetic sequence as the books on the left. Students read illustrated words, sentences, and the same practice stories. 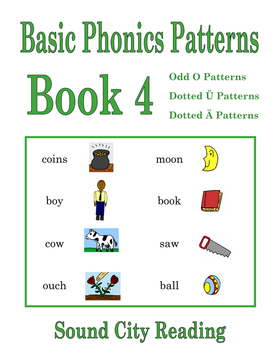 The decoding practice books shown below are an older version of the Basic Phonics Patterns books shown above. The charts are in a slightly different format. The sequence, words lists, and stories are mostly the same, with a few differences. If you were using these from the old web site you can download the PDF files for the books here. 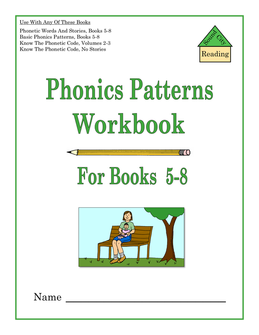 You should be able to use the workbooks shown below, Phonics Patterns Workbook For Books 1-4 and Phonics Patterns Workbook For Books 5-8, with minor adjustments. These books have smaller all black print. They follow the same phonetic sequence as the books on the left. For each new pattern, students read one page of words, including both one and two-syllable words. The words are not illustrated. The same illustrated practice stories are included. The books shown below are older books from the previous web site. Students practice reading word lists and a group of sentences for each of the consonant or vowel patterns. These books are not sequential. They do not start with the easiest patterns and progress to more challenging patterns, like the books listed above. The phonics patterns in both books are arranged in alphabetical order, to make it easy to find the pattern you are looking for. The lists include both basic and advanced patterns. The words and sentences are not illustrated, and they are printed in all black print. The pattern to study is shown at the top of the page along with a key word and picture. In each book, students read rhyming word lists first, wherever possible, then a mixed list (all with the same pattern, but not arranged in rhyming lists), followed by a group of sentences.